M. Lisella – Thanked the VFW, American Legion and the Knight’s of Columbus for the Memorial Day Parade. Great tribute to the people of Barnegat who gave over $169,000 in scholarships to the 2012 graduating class. L. Morano – Thanked the citizens that turned out for the Memorial Day Parade. Free life vests for children at the vest booth at the boat ramp. Would like to see cameras at the dock, again vandalism was done to some electrical equipment. J. Melchiondo – Also attended Scholarship Night at the High School and glad to see the event gets larger each year. Farmers Market at Gazebo Park begins June 14, with Music in the Park in the evening. A. Bille – Attended the VFW Memorial Day ceremony on Sunday morning. Recognition to dock masters that cleaned up and painted at the dock: Bill Walker, Rich Wheeler, John Hinkos, Phil Greco and volunteer Bruce Oloff. Speeders on Barnegat Boulevard at the Rail Trail crossing, please be extra careful in this area, look for pedestrians. Siren test for the Oyster Creek Nuclear Plant at 10am Tuesday, at this point in time the Township will not be replacing trees on E. Bay Ave. Explained items on this agenda. Bruce Connell – explained Resolution 2012-329 accepting the County proposed Water Quality Management Plan, as a Tier A community we must comply. Charlie Giles – 564 E. Bay Avenue: Disability areas at Dock have been cleaned and swept. Thank you for the accessibility to the Barnegat Rail Trail. Genuardi’s property is private property, Mr. Walters will work with the ADA Advisory Board to install handicap cut at sidewalk area done prior to required regulations being implemented. Thank you to the Committee and Municipal Clerk for their assistance with improvements. Jake Taylor – 106 Newark Road: Questioned if developers are responsible for costs to maintain and develop drainage and storm water. National Standards for handicap accessibility should not allow for “grandfathering”. Administrator explained state requirement for service reimbursements to COAH properties. Wanted to know how much Open Space money was taken for Town Hall landscaping. Engineering costs are not covered under Schedule “C” agreement. Bruce Connell – explained some engineering aspects that may be overlooked by paving companies that may cause problems in the future. Wants clarification on who decided that the Pinelands Preservation Alliance would not participate in the lawsuit for the Ocean Acres rezoning. Denise Pilovsky – 26 Aphrodite Drive: Discussed Planning Board meeting and conflict of interest with board member. Stated her concerns that there may be contaminated soil at the Tanner’s Pit site on Gunning River Road. Re-development plan sited many prior violations during operation. 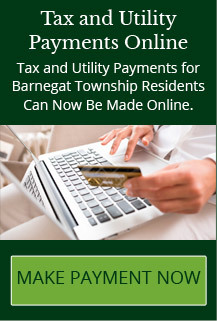 Stone Hill at Barnegat was approved for subdivision, was soil testing done at this site? Rare liver disease diagnosed in her two daughters and a neighbor, could the soil be the problem. What can we do to help the residents of Hannah Lee, Cherry Street and Aphrodite? Possibly adopt an ordinance requiring soil testing for all new developments for the safety of the residents. Engineer explained the rules for storm water runoff, by the property owner. Mayor: we will look into it. Frank Pecci – 11 Hemlock Drive: Resolution 319 wanted clarification of reimbursement requirements. County could be responsible for details in paving requirements. Will bring in letter from Pinelands Commission with respect to the re-zoning of Ocean Acres. Frank Troia – Pinewood Estates: Unfinished swales on Route 72 are a hazard causing a lower lip on edge of roadway. Would like traffic signal at the Pinewood Estates Park for egress onto Route 72 West. Questioned status of rent decrease, owners required to pay for lawn care; we need help from park owner. Mayor recommends he speak with the Homeowners Association for help. Helped with health issue of uncovered trash cans. All trees still not cut down. Phil Checcia – 12 Windward Drive: We should look into replacing the trees on E. Bay Avenue. If we are to use Open Space money on Lower Shore Field, we should be out in the open and give credit for it, state that money came from fund. Endangered species, ecological studies should be done in the proper season for wildlife. Request boards to enforce environmental regulations with developers. In order to lower taxes in the town I believe the township should sue the company that created the problem in the first place, the re-valuation company. They knew the market was going to drop, and they did it to other towns too. They should be questioned about the information they had prior to revaluing the township, do not use them again. Who makes the decision to let an attorney have the authority to not let an entity, in this case the Pinelands into a lawsuit? Did the governing body have to vote in the majority to give the attorney authority? Walt Fernandez – 31 Fifth Street: June 24th is our First Day on the Bay event this year. We have done twelve over the years; we need donations of boats, about a dozen, for our rides for special needs people. Marianne Clemente -565 E. Bay Avenue: Thank you for noting and publicizing the siren test for Oyster Creek Plant. Meeting will be on decommissioning tomorrow night. Mike Howard – 22 Birdsall Street: Wood mat for Bay Beach does not reach the water. Trees should be replaced on E. Bay Avenue, consult with the Shade Tree Committee. Bus shelter needs to be replaced since car accident. Approval of Anthony C. Matynka, Jr. as a Volunteer Fireman for the Pinewood Estates Fire Dept.